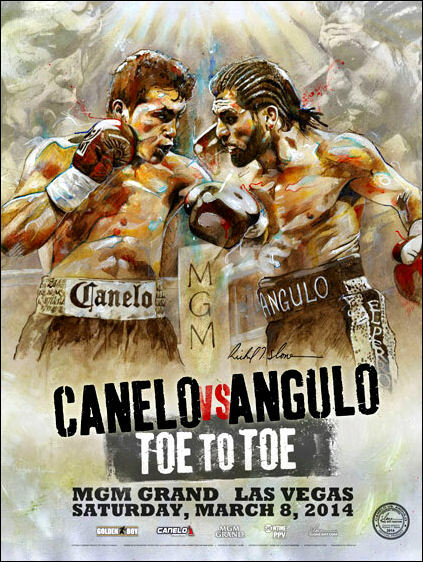 Description : Official Slone art limited edition MGM Grand commissioned onsite poster from the all Mexican showdown at the MGM Grand Garden Arena in Las Vegas. 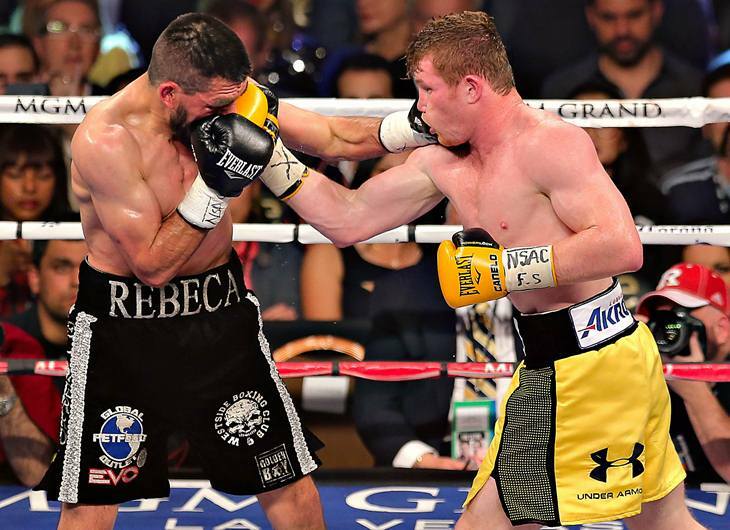 Canelo brutalized and outclassed Alfredo on the night of Mar. 8., before crunching him with an uppercut in the 10th round that prompted referee Tony Weeks to intervene during their junior middleweight fight.Canelo (43-1-1) never was able to put down Alfredo (22-4), but pounded him with punches (295 landed) throughout the fight. The dominant Canelo hit Alfredo (only 104 landed punches) with hard combinations that almost always found their mark. By the middle rounds, there was hardly any suspense left. The only question that remained for the bout was whether or not Alfredo could last against Canelo’s combinations.